Hi hoping someone can help me! 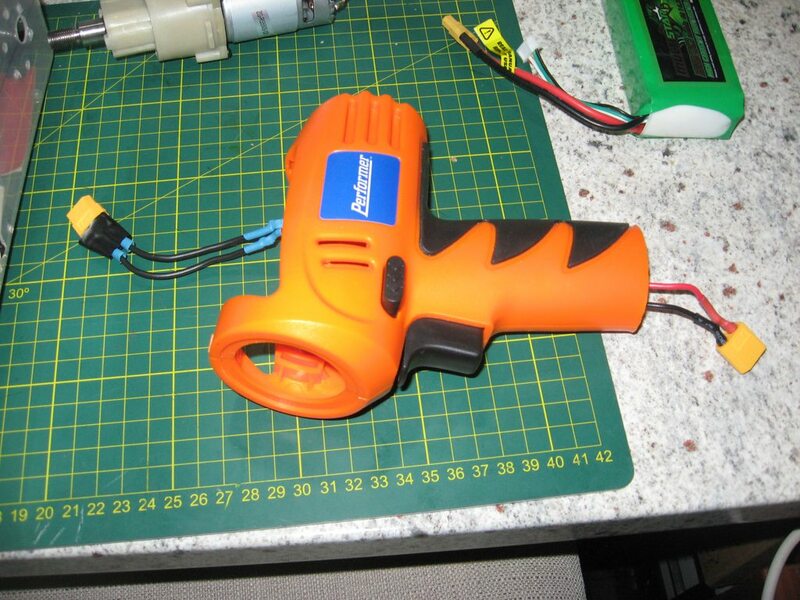 I have been following Angus's Robo Wars Youtube videos "How to build a Combat Robot - Episode 1 Cordless Drill Hacking" and have done all that he has said but my 18v Ozito drills (both) will not turn freely (even before I have screwed in the grub screws). Have I done something wrong? Is there a way to fix this? Pics? Have you disconnected the Motor wires? If not this may make the motors brake which causes some resistance. You will need to upload images somewhere else and then link here. How much resistance are we talking about then. Like a drill is quite hard to spin from the output end just because of the gearing. Imgur.com is an easy way to host images. Just upload and copy the URL to here. Hi, thx again for your help - I have finally the pics on imgur as requested (http://louisalston.imgur.com/all/). Hope these photos are able to give you an indication as to the reason why the drill shaft is locked before I put in the grub screws. Thanks. LouisAlston's images are not publicly available. Have you tried actually running power through the motors and seeing what happens? I just took apart a drill where the shaft wasn't turning by hand even before putting in the grub screws, but it seems to run fine (I was a bit worried at first, given that I had to get a bit, ah, forceful to get the reverse threaded screw out). Also, once you've uploaded the pics to imgur you can then imbed them in the chat here using the provided BBCode link - just change the size to "huge thumbnail" or something first, otherwise it'll show up bloody huge. Cheers I will try running power through the motor and let you know what happens.